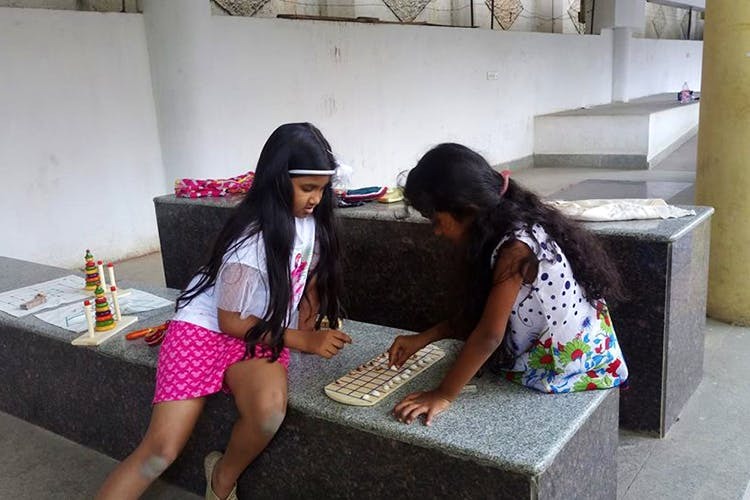 In today’s world of flashy graphics and VR games (among other things), take a break and learn to play something new (but actually really old) with Ima Recreations range of board games including Ludo, chowkabhara, Chinumane (with the shells or red seeds), Chinese Checkers, bugari (spinning tops on a string) Carrom, Bagh Bari! Piqued your curiosity yet? The idea is to revive old, traditional games that are not only fun for the whole fam but also involve some mental gymnastics, athletics, and even patience (believe it or not). The game apparatus and pieces are mostly made with natural, locally sourced materials, with simple markings enough to play the game with no frills as it’s all about going back to the roots. Of course most of us 90s and millenium kids don’t know what half of these games are, much less play them! The guys at Ima are prepared, as you can play and learn with them before you pick up a set (which also comes with a guide book, but it’s always better when someone shows us how to play). Prices for the games start at INR 150, so you don’t have to worry about breaking bank to get yourself a set for fam-jams (or a new drinking game). You can check them out at the store at the Swami Vivekananda Station or on Facebook, to buy online and stay updated on their gaming meets. To get a taste of what you’re paying for, check them out at the MG Road Metro Station every Sunday. They hang around the boulevard, and you can join them for a game or two there.